As an LSAT tutor and law school application consultant, I’m routinely asked about preparation: Where can I find additional resources, practice problems, and mock exams…what is the best way to direct improvements in my test score….how many weeks (or months) of studying do I need to master the material…etc. Fortunately, the first of these is a non-issue with the LSAT, as a wealth of material is easily accessible: nearly every administration of the modern exam can be purchased online (with the exception of the February LSAT, which is an undisclosed test), along with answer keys/explanations, practice sets for individual question-types, and countless test prep publications. However, the sheer amount of available material can overwhelm students, who are left to choose among various test prep companies – e.g. Powerscore, Blueprint, Manhattan LSAT, Kaplan, Princeton Review, and Testmasters – each proffering unique testing strategies. Test prep is not a one-size-fits-all enterprise. This is as true of the LSAT as any standardized test. With such an abundance of available resources to consider, how do you even begin to choose? How do you know which resources might be most helpful to you? Although the majority of LSAT resources that you will encounter are solid, individual textbooks and practice sets do vary in style and reputation. For the latter, it can be helpful to ask a tutor or to read others’ reviews to confirm that the book is clear, informative, and up-to-date. More salient, however, are content and style; whereas some LSAT companies outline strategies for individual question types, others address entire sections of the exam more generally. A second distinction involves the nature of practice questions taught throughout test prep books: are they drawn from past LSATs, or devised by a test company to resemble actual questions? PowerScore Bibles – There is a reason that PowerScore’s ‘Bibles’ are so well-regarded: they provide consistently clear explanations, develop comprehensive approaches to individual question-types, and strike a fine balance between teaching and applied practice. I’d recommend getting all three (Logical Reasoning, Reading Comprehension, and Logic Games), but foremost among them is the Logic Games Bible, which offers the most intuitive approach to diagramming of any prep company I’ve seen. Manhattan LSAT: Logical Reasoning – I found Manhattan to be an extremely useful complement to PowerScore. Though they also divide chapters by individual question-type, Manhattan injects a macro-approach that hinges on a student’s ‘process’ in understanding the patterns, assumptions, and flaws common to all LR questions. The Fox LSAT Logical Reasoning Encyclopedia: Disrespecting the LSAT – This was a bit of a wildcard, but proved thoroughly enjoyable. Fox provides hundreds of compiled LR questions and explanations, allowing students to understand the reasoning behind incorrect as well as correct answers. Though he provides little conceptual teaching, this book is perfect for drilling; Fox’s explanations are as thorough and insightful as they are irreverent. A great supplement for those missing only a handful of questions per section. The LSAT Trainer, by Mike Kim – The ultimate guide for self-/semi-independent study. 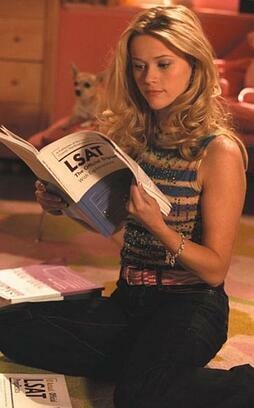 Kim lays the foundations for each section of the LSAT (all in one volume!) and then attacks recurring question-types/sources of difficulty. By dividing each chapter into a 50-75 minute lesson, Kim distills the material in a digestible and time-efficient manner. Abe Lincoln once said that if he had “six hours to chop down a tree, [he]’d spend the first four sharpening his axe.” This captures my thinking on test preparation: by willfully focusing on the correct things – namely, by continually evaluating your ‘process,’ addressing strengths and weaknesses, and maximizing your study time – you can direct major improvements in your understanding as well as your score. In the course of LSAT tutoring and law school application coaching, I’ve been fortunate to work with some intensely motivated students, who are willing to commit countless hours to studying. Ironically, one of the greatest challenges I face lies in convincing them that this may not be the best strategy. With test preparation, it is often tempting to increase the number of hours, problem sets, or practice tests, particularly when we feel we’re struggling to understand something. But the sheer volume of questions we complete says little about what we learn from them, specifically if we are not approaching them in the correct way. Put otherwise, how you practice is as, if not more, important than how often, or how much. Indeed, one of the tendencies that I strive to help students move away from involves channeling time into strengths as opposed to weaknesses. With the LSAT, if a student is especially comfortable with logical reasoning but daunted by logic games, for example, it is much easier for him to seek the confidence boost of drilling LR questions than to attack the game section, though this is not the most efficient use of his time. A second example is the desire to blindly follow a schedule with concrete metrics for the number of questions/practice tests/mock essays to completed. Though a schedule and benchmarks provide useful guidelines as well as a sense of ‘accomplishment,’ they are only beneficial if continually evaluated alongside a student’s progress. Much more effective, I would argue, is taking the time to reconsider one’s goals and present ability, and to direct targeted improvements. By breaking down the skills necessary for particular question-types and continually revisiting your process, you will improve your ability to absorb test material, to identify strengths and weaknesses, and to address them. Surprisingly, in slowing down and focusing on how you practice, you’ll find that you study more efficiently and that you are your own greatest LSAT coach! * For more on ‘deliberate practice,’ check out Daniel Coyle’s The Talent Code.